Dung claims 100,000 Killed, Hurt by Abandoned Weapons since the end of the Vietnam War in April 1975. What is not said, and possible unable to determine is how much of those discarded munitions are actually not U.S. munitions, but landmines and other munitions laid their by the communist North Vietnamese to kill or wound American and South Vietnamese Troops during the many years of their struggle to remain a free people? Munitions built by the communist North Vietnamese as well as those supplied them by the former Soviet Union and Communist China? In case people forget, it was not only America using weapons in that war and I would easily imagine the vast majority of landmines planted and forgotten were planted by the communist North Vietnamese themselves. Another point and very heart wrenching is the “100,000 killed or maimed” over the 36 year period. No doubt a claim made to garner sympathy and more funds from other countries, most notably the United States. U.S. 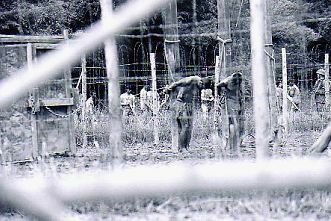 Ambassador David Shear states that America has already supplied some $62 Million towards the effort while Vietnamese continue to drag their feet in the effort to account for all of our missing POWs and MIAs. As heart wrenching as the claim of “100,000” is, the Communist Vietnamese government ignores their own actions immediately after we saw tanks busting down the gates of the abandoned U.S. Embassy and Presidential Palace in Saigon long ago. 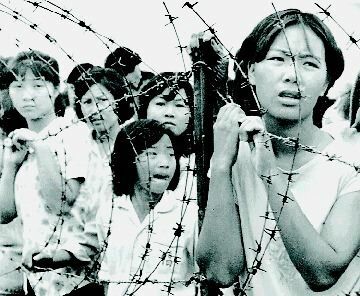 Only 2 years after the fall of Saigon, Vietnamese author Le Thi Anh wrote of the bloodbath occurring inside the country after America shamefully turned our backs on the struggling South Vietnamese and abandoned them with his article, The New Vietnam. Just 4 years after the war’s end, CBS News broadcast a report, Re-education camps...or death camps? telling us how so many South Vietnamese who sided with Americans we sent off to “re-education camps” and how hundreds of thousands were ejected from the country on rickety boats, to become known as the “Boat People”, untold thousands perishing at sea as boats broke apart or never found their way back to land. Reports of the continuing atrocities of the indigenous people of the Central Highlands of Vietnam, the Montagnards still flow out through the efforts of Montagnard-Foundation.org. In an undated article we read, “At least 165,000 people perished in Vietnam's re-education camps after the fall of Saigon in 1975, according to published research in the United States and Europe. The Hanoi government declines comment,” followed by a lengthy “partial list” of those known to have perished. Vietnamese Democide Estimates, Calculations, And Sources. Site after site documents the atrocities and revenge sought by the Communists after their victory in Vietnam go ignored by the Vietnamese Government, the United Nations and our own media today as they as they continue to play on our emotions, most likely to instill feelings of guilt in American citizens over our past allied efforts to help those who did not want to be subjected to brutality of communism. The United Nations, more aptly labeled the “Useless Nations” by many, makes no effort to hold the Communist Government of Vietnam accountable for hundreds of thousands, if not millions of deaths of Vietnamese citizens who wished to remain free. Many who only worked alongside of us in a non-military capacity. 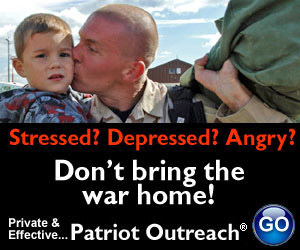 The anti-war left sarcastically labels such articles as seen at the top of this post as “War: The gift that keeps on giving” ignores their own complicity in dragging out our wars by their efforts emboldening enemy forces and eventually leading to victories for those enemies, causing many bloodbaths for innocent civilians in those countries. By many accounts, North Vietnam was considering a negotiated surrender after they were decimated in their ill-fated Tet of ’68 Offensive, but fought on seeing how they had the sympathy of American Liberals who were marching on our streets in support of the Communist North. As history records, their tactic succeeded, to the detriment of the South Vietnamese people. My effort is not to marginalize the claim of “100,000, 42,132 people killed and 62,163 others wounded” over the past 36 years, but to shine a little light and out it in perspective as Premier Dung seems to have forgotten the millions of Vietnamese claimed to have simply vanished in the immediate aftermath of the war. Dung also seems to have forgotten that many of the very munitions lost and forgotten were placed there by his own forces all those years ago. We in America will no doubt continue to help in the effort to clear munitions left over from the war, but I also feel a lot of that effort belongs on Vietnam itself as well as the Chinese and Russians who supplied many of those munitions to the Communist North Vietnamese as well as sent their own Military Personnel to Vietnam during the war. Above all, we in America should never feel guilty that we tried to help a people struggling to remain free. If anything, we should feel guilt that we allowed our government to abandon freedom seeking people.